Complete drive includes gear shaft, pinion shaft, bearings, plum block, gun metal, housings & bed plate. Supplied to Daurala Sugar Mill, Daurala, India. 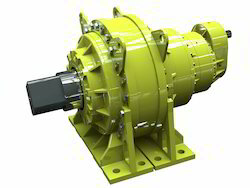 We offers crown pinion for sugar mills, sugar mill open gear drivers to our clients. - Simple but rugged design. - Interlocks made using PLC which ensures safety. - Control of drive through communication which reduces wiring complexity and will reduce fault finding time. - Easy friendly HMI provides you Status of Mill System and diagnostic data’s. - We offer maximum up to 3MW in a single module. With enriched market experience, we have been able to offer a wide spectrum of Shaft Mounted Mill Drive. - We offer maximum up to 1.98MW. Vertical Roller and Horizontal Mill Types. 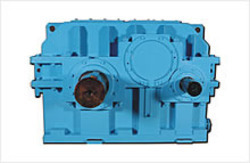 Seisa Drives are one of the best for mill applications. These drives are custom designed and manufactured, based on proven design concepts. Simple construction concepts and designs offer the highest reliability, which is critical for maximum uptime in mill applications. Complete drive includes gear shaft, pinion shaft, bearings, plum block, gun metal, housings & bed plate. Supplied to Daurala Sugar Mill, Daurala, India. Rolling mill – complete automatic rolling mill in four independent drives with roughing size of 18 and finishing mill of 18, manufacturing h r strip coil from 100mm to 360mm wide in coil form, with 1. 2mm to 5mm in thickness and from 250 ft to 600ft in length, with a production capacity of 230 mt per day.